PDN is headquartered in the Chicago metropolitan area with branches in New York, Minnesota and China respectively. IPDN went public in 2013 and the company has continued to grow, develop and prosper. Currently, IPDN network is comprised of more than 15 million registered users. IPDN offers comprehensive services that are jointly functioned to improve the life of others. Members can achieve their personal and career goals through numerous on line & offline tools, resources and opportunities offered by IPDN. IPDN is now looking to adapt this vision to appeal international individuals and institutional clients. The New global business ventures of IPDN include International Association of Women (IAW) and Professional Diversity Network (PDN). IPDN China was founded in Guangzhou in March 2017, and it serves as the overseas branch of IPDN. Core businesses of IPDN China include International Association of Women, PDN C-Level Training & Services, and Association of Education and Training Schools International (AETSI). 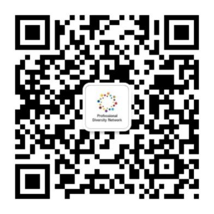 With the integration of traditional education model and the latest technology, members of IPDN China can build a personal network and connect with global elites via exclusive online/offline events tailored to C-Suite business leaders in China.